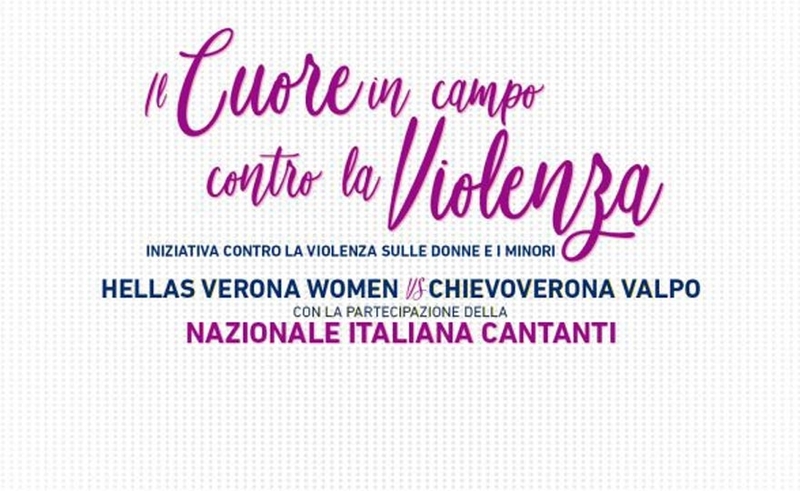 Officially presented the charity game "The heart in the field against violence"
ChievoVerona Valpo, Hellas Verona Women and Italian National Singers in the field to say stop to violence against women. This is 'The heart in the field against violence' event that will take place on Friday 8 March (beginning 18.30 hours) at Olivieri Stadium in Via Sogare, presented yesterday morning at the Istituto Seghetti in Piazza Cittadella. Godmother of the event Gessica Notaro Rimini model attacked and defaced with acid from her ex-boyfriend 10 2017 January. 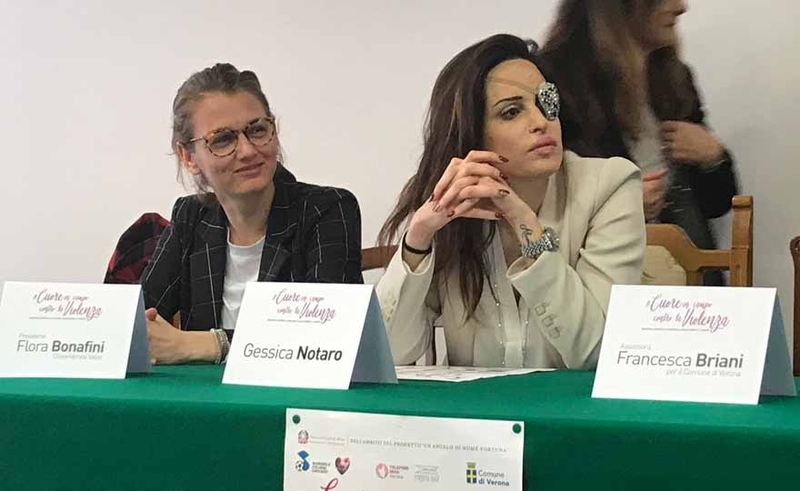 Gessica Notaro in Verona for "the heart in the field against violence"
The Heart in the field against Violence this is the event that will put the ball in the middle of the field on Friday 8 March for the friendly match between Hellas Verona Women and Chievoverona Valpo. The initiative - scheduled at 18.30 at the Olivieri Stadium in via Sogare - was born as part of the educational project "An angel named Fortuna", of the Italian National Singers Association and supported by the Department for Equal Opportunities of the Council Presidency . Read more: Gessica Notaro in Verona for "the heart in the field against violence"
There are infinite ways of communicating between people, whether it is implicit language or explicit language, but in the same way there are many channels of communication that concern people and animals, and it is the first step to establish positive and healing relationships. 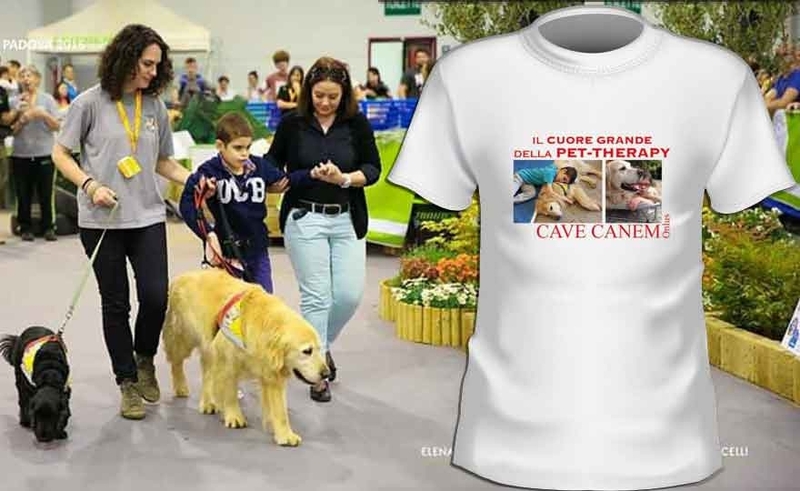 Based on this assumption, the so-called "pet therapy" is based, known as pet therapy, and Elisabetta Taverna, Verona's player and volunteer on the front line in the "Cave Canem ONLUS": Elisabetta's brother is suffering from autism and Psychomotor and Attention problems. 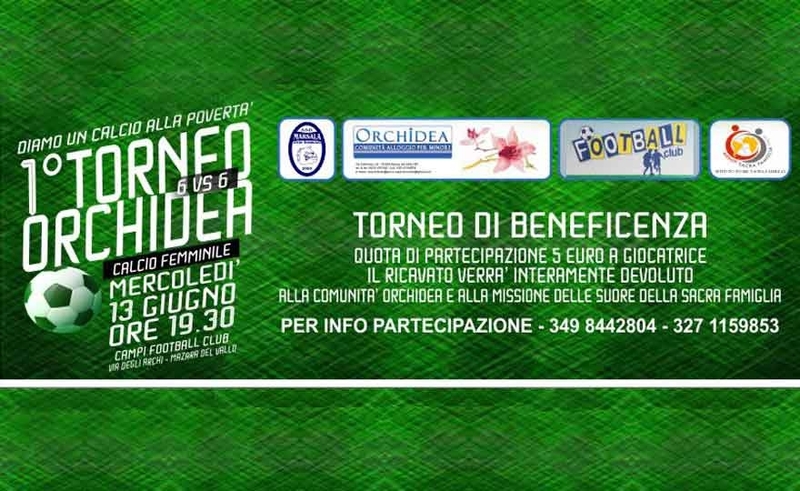 The Women's Football Marsala and the Orchid Community of Mazara del Vallo organize the first Women's Football Orchid Tournament at 6 to be held on Wednesday 13 June from 19.30 at the Football Club of Mazara del Vallo in Via degli Archi. The event was created exclusively for charity and the proceeds will be entirely donated to the Community housing for minor Orchid and the orphanage of the Mission of the Sisters of the Holy Family in Congo.